Blogger is one of the free platform you can start your blogging career on. When you start with blogger, your domain will have the .blogspot extension. A URL change from .blogspot to a custom .com domain is the desire of many after some time. 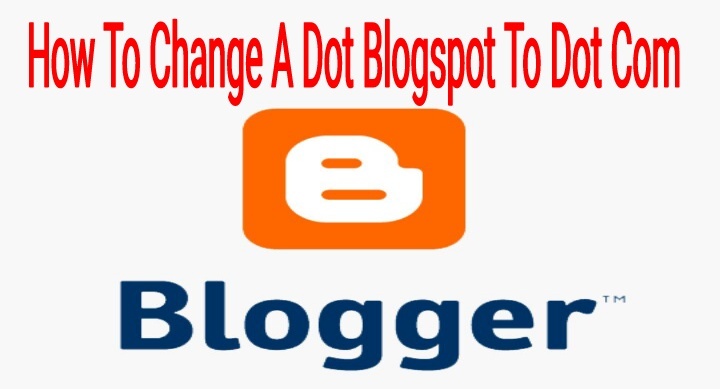 Here is a quick tutorial on how to change your dot blogspot domain to dot com. 1. Purchase your desire domain name from any domain registrar of your choice. Personally, I’ll recommend Namesilo, Godaddy and Domainking. You can browse for coupon codes of the above listed registrar to get discount on your purchase. 2. Login to your dashboard on blogger to start the linking of your custom domain process. 3. Click on setting from the options displayed on the left side. 4. From the blog address option click on set up third party URL for blog. 5. Enter the purchased custom domain name in the provided space and click save. Note: You must add WWW to the domain for it to work. 6. Go to your domain registrar portal and sign in to your dashboard. In this tutorial we’ll use domainking as our registrar. please leave your comments in the box below if you are faced with any challenges. Always use the Message feature instead of posting your number on a public forum. Send me a pm, I'll help you do it.